Don't hesitate to contact us directly with any questions. We also run fundraising events and always welcome new partners and volunteers, so please contact us to be involved in helping make our city, our state and our world a better place for all. 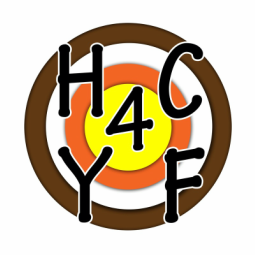 ​Hartland Community 4 Youth and Families works hard to secure the necessary funding in order for children to participate at minimal cost. We currently have close to 150 children participating in our programs and we anticipate that this number will increase over the years. We are not able to run our amazing program without the generosity of donations from community members like you! Please consider making a donation of any amount to our program so that we can continue to help teach children responsibility, respect, and self-discipline through sports. ​It costs around $85.00 for one child to participate during the year. This covers a jersey, shorts, socks, shin guards, and cleats. A growing expense for us are the supplies required for river-stewardship. We are using heavy-duty trash bags and protective gloves to pull goat-heads along the Jordan River Path, and to remove trash from the river and the river-environs. We also incur the cost of taking this trash to the dump.